The Glebe Park men are in eighth position in the Second Division. 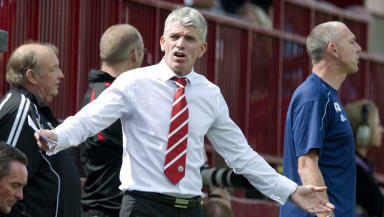 Brechin City have parted company with manager Jim Weir after their 3-0 defeat to Ayr United. The Glebe Park club currently sit eighth in the Second Division table after two wins from seven league matches. Brechin have lost all three of their away matches this term having finished in eighth last season. Weir replaced Jim Duffy as boss in May 2010 having been relegated with Arbroath. Chairman Ken Ferguson added: “Football is a results driven game and after a string of poor results the club has parted company with Manager Jim Weir. We will now look to engage a new manager to take the club forward.